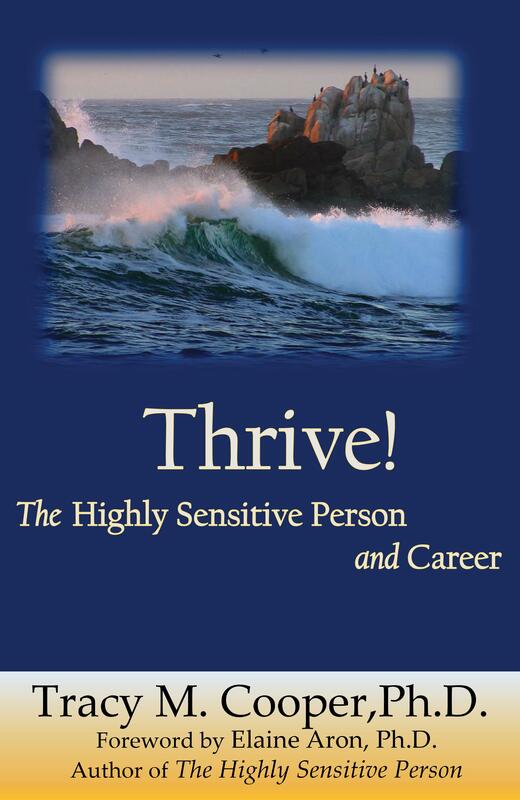 In my most recent book Thrive: The Highly Sensitive Person and Career I included an entire chapter on the lingering effects of unsupportive or negative childhood environments. Highly sensitive people are especially susceptible to being more deeply affected by negativity in childhood than others due to the depth to which we process this non-support or non-acceptance. Moving beyond non-acceptance of sensitivity we have to include abuse, neglect, trauma, and conflict as being especially harmful for the HSP. The recent article “7 Ways Adversity Changes Your Brain,” by Donna Jackson Nakazawa, looks at the ways childhood trauma and adversity actually change the connections in the brain and alter genes. In this article I would like to address the most salient points as they apply to HSPs. First, we need to know our Adverse Childhood Events, or ACE, score. I was able to find the self-test at the following link http://www.acestudy.org/ace_score. Click on the appropriate language score calculator and answer the questions, with a 1 for every yes and O for no. Total your score and that is your ACE score, but what does it mean? In a nutshell, the more ACE’s one has the greater a number of health risks one might endure. There is real science behind this with one study comprising some 17,000 individuals. What they found was that nearly two-thirds of the participants had one or more ACE’s from their childhoods. ACE’s being defined as going beyond mere childhood disappointments or struggles and encompassing stress-inducing events capable of long-term effects. More specifically, Nakazawa explained that there may be at least seven changes or alterations to genes or brain connectivity. Let’s examine each one carefully. “When we’re thrust over and over again into stress-inducing situations during childhood or adolescence, our physiological stress response shifts into overdrive, and we lose the ability to respond appropriately and effectively to future stressors—10, 20, even 30 years later. This happens due to a process known as gene methylation, in which small chemical markers, or methyl groups, adhere to the genes involved in regulating the stress response, and prevent these genes from doing their jobs. As the function of these genes is altered, the stress response becomes re-set on “high” for life, promoting inflammation and disease.This can make us more likely to over-react to the everyday stressors we meet in our adult life—an unexpected bill, a disagreement with a spouse, or a car that swerves in front of us on the highway, creating more inflammation. This, in turn, predisposes (link is external) us to a host of chronic conditions, including autoimmune disease, heart disease, cancer, and depression. In addition to a stress response set on “high” for life one may also experience a shrunken hippocampus interfering with our ability to process emotion and manage stress. Carrying this over to adulthood HSPs might be severely affected in this way as Sensory Processing Sensitivity, the underlying personality trait in HSPs, operates with emotion as the fuel that kickstarts the depth of processing in our brains. It is, therefore, extremely harmful to an HSP to experience ACE’s in childhood. This may seem elementary given the ugly scenario we have painted thus far, but in my experience there seems to be a tendency to minimize childhood experiences as having occurred so long ago as to be inconsequential or superficial. In fact, there may be organic alterations to one’s brain that continue to hamper our ability to function well in adulthood. Trivializing one’s painful childhood as a defense mechanism for not wishing to “open up” old wounds may be less painful in the short-term, but in order to reach a point in our lives where we can thrive we should address the issues in our lives, especially so for those of us who have a number of ACE’s. “Children have an overabundance of neurons and synaptic connections; their brains are hard at work, trying to make sense of the world around them. Until recently, scientists believed that the pruning of excess neurons and connections was achieved solely in a “use-it-or-lose-it” manner, but a surprising new player in brain development has appeared on the scene: non-neuronal brain cells—known as microglia (link is external), which make up one-tenth of all the cells in the brain, and are actually part of the immune system—participate in the pruning process. These cells prune synapses like a gardener prunes a hedge. They also engulf and digest entire cells and cellular debris, thereby playing an essential housekeeping role. Chronic neuroinflammation owing to ACE’s predispose us to further issues as we face the adult world, which is often unforgiving of any individual who cannot simply “leave it at the door.” Many HSPs suffer in quiet and, in fact, may be suffering from inflammation in the systems of the body. Having the “tone” of our brains reset through ACE’s in childhood is beyond our control. None of us asked to experience ACE’s, but we did all the same. Some of us can count seven or more ACE’s and surely have developed mood disorders and have significant issues with decision making and in our thought processes. There is some good news, however, and we shouldn’t allow the points discussed thus far to feel insurmountable. Inflammation is increasingly becoming an object of study among scientists searching for better answers to many health issues. The answer may be inflammation and there may be a number or viable ways to decrease it throughout our bodily systems addressing diet, exercise, meditative or contemplative practices, and socialization, yes, socialization. With some 70% of HSPs as likely introverts socialization would seem antithetical, but that would be a reductive view that ignores the sense of well-being that comes from associating with quality others. We are all social creatures and benefit greatly on emotional and physiological basis’. This doesn’t mean we all suddenly become extraverts, rather we socialize and associate with those we deem to be of good or high quality. The effects of such socialization, in amounts appropriate for each person, are substantial. In short unhealthy telomeres age us more quickly and opens us to disease. We have all read stories of poverty-stricken children like Charles Dicken’s David Copperfield, or Oliver Twist, or perhaps viewed images of children during the Great Depression where age seemed to have crept over young faces. Likely too for HSPs ACE’s may have opened our body to disease and illness it otherwise would not have experienced and, while we cannot necessarily change what has already occurred it is important to out healing process to understand the true extent of the effects of ACE’s. “Inside each of our brains, a network of neurocircuitry, known as the “default mode network,” quietly hums along, like a car idling in a driveway. It unites areas of the brain associated with memory and thought integration, and it’s always on stand-by, ready to help us to figure out what we need to do next. “The dense connectivity in these areas of the brain help us to determine what’s relevant or not relevant, so that we can be ready for whatever our environment is going to ask of us,” explains Ruth Lanius, neuroscientist, professor of psychiatry, and director of the Post-Traumatic Stress Disorder (PTSD) Research Unit at the University of Ontario. Reacting appropriately to the world around us may be a struggle for HSPs with ACE’s as our fight or flight response activates at the slightest perception of threat. Overreacting versus normal reactions to everyday events is perhaps one of the most difficult aspects of life for HSPs with numerous ACE’s. Overreacting may lead to problems in career, family, and relationships as others seek to distance or shield themselves from the overreacting individual. This is a somewhat touchy subject for us HSPs because we may become overstimulated anyway by crowded conditions, excessive or sharp noises, strong smells, and other sensory stimuli. Our strong empathy may make us overreact as we perceive an individual is or is becoming a “threat” and our fight or flight response activates leading us to feel like we need to escape or flee. Some may become aggressive or confrontational as they seek to react appropriately. This can obviously lead to some awkward situations and potentially dangerous interactions. We HSPs are NOT all alike and we are not all kind, quiet individuals. To the contrary ACE’s may influence behavior changes or patterns of behavior that are positively antisocial. “Until recently, it’s been scientifically accepted that the brain is “immune-privileged,” or cut off from the body’s immune system. But that turns out not to be the case, according to a groundbreaking study (link is external) conducted by researchers at the University of Virginia School of Medicine. Researchers found that an elusive pathway travels between the brain and the immune system via lymphatic vessels. The lymphatic system, which is part of the circulatory system, carries lymph—a liquid that helps to eliminate toxins, and moves immune cells from one part of the body to another. Now we know that the immune system pathway includes the brain. The system-wide inflammation we mentioned above now comes full circle and is transported through the lymphatic system. Chronic stress in childhood, as evidenced by ACE’s, floods the body with stress responses, hormones, and inflammation that interfere with good health and well-functioning. ACE’s for the HSP are especially damaging in that all of these effects further serve to impair our ability to make decisions, respond appropriately in everyday situations, and enjoy good health. On this footing thriving is not even a possibility as mere survival seems to occupy all of one’s capacities. Out of whack, out of balance, and out of step with the world. What are we to do? “Ryan Herringa, neuropsychiatrist and assistant professor of child and adolescent psychiatry at the University of Wisconsin, found that children and teens who’d experienced chronic childhood adversity showed weaker neural connections (link is external) between the prefrontal cortex and the hippocampus. Girls also displayed weaker connections between the prefrontal cortex and the amygdala. The prefrontal-cortex-amygdala relationship plays an essential role in determining how emotionally reactive we’re likely to be to the things that happen to us in our day-to-day life, and how likely we are to perceive these events as stressful or dangerous. With impaired connectivity between crucial centers of the brain regulating fear, stress, and managing emotion we might think HSPs with ACE’s face an insurmountable task to repair the damage. While it seems to be true that the damage from ACE’s contributes to an individual’s propensity for anxiety, depression and a whole host of health-related effects most of us leave our stressful environments at some point and strike out on our own. Away from the negative individuals who may have contributed to our ACE’s we start families of our own and often do a wonderful job of raising children free from harmful ACE’s. The number of HSPs that experienced ACE’s is likely at least 50%, according to research I conducted in 2014. As has been explained by others the number of ACE’s is probably less important than the intensity with which we experienced any one event. Thus, a child could have endured a quite severe ACE and have processed it very deeply leading to any of the above mentioned issues. The road to healing for us HSPs who experienced ACE’s can be a long one with many avenues we need to pursue in our healing journey. Some people grow beyond their trauma, but retain the physical effects, even potentially later in life, as indicated in this article. Others enter therapy one or more times with multiple therapists in search of clarity and understanding. Still others turn to medications, legal and otherwise, as they attempt to self-medicate so they can continue functioning as a person in the world. The amount of pain people carry with them is astounding and, I admit, affects me even now as I write this. The issue of self-care, for one, offers us one path to healing and a sustainable well-functioning of the body, mind, and soul, but science has now unveiled for us the physical aftereffects that may linger for those of us with ACE’s and the picture it creates is daunting. The optimistic view of ACE’s is the inherent plasticity in our brains. Many of us have experienced numerous ACE’s and have done quite well in life or are in the midst of attempting to do so. Many of us have successfully “left behind” the harm and conflict we endured as children, the confusion and uncertainty of fighting, abusive, or neglectful parents or caregivers. But, let us take an honest look at ACE’s and not pass them over in our haste to be “whole,” to be “normal.” If our goal is to access the better and higher parts of ourselves capable of the grandest things we must first address, in a sincere way, our ACE’s as best as we can, adapt our lives as we are able and move forward to become the best versions of ourselves that we are capable of. Part two of Nagazawa’s article will address ways of repairing the damage caused by ACE’s in childhood. I will post a response for HSPs when that is available. The wonderful new documentary by Will and Diana Harper had its world premier last night in San Francisco at the Legion of Honor Museum. I livestreamed the event as did many of you and what an incredible gathering of the global HSP community it was! HSPs from at least 50 countries streamed the movie live and the theater in SF was sold out. For the first time that I am aware of HSPs came together in a real way to publicly share in our personality trait with the world. For me I was quite anxious to learn which part/s of the hour of footage we shot last November would actually make it into the movie. I was happy to see each of the three segments I was in as they appeared on the screen and very gratified and humbled to be able to contribute to a groundbreaking movie with the potential to help so many people come to a better understanding of their innate personality trait or of someone they love. The movie itself, of necessity, was broad based and covered a range of topics. I was happy to see the hard scientific evidence included along with interview segments from the researchers conducting the work (including myself). Elaine Aron skillfully guided us through a journey during which we learn how she originated the trait as separate from introversion and shyness. Later we learn of the importance of early acceptance by parents and caregivers for HSP children. Moving ahead the movie covered work and career with a variety of topics raised. Relationships and an overarching vision of HSPs as different, but not separate from the other 80% of the population, rounded out this survey of the trait and served to introduce HSPs to those who may not know them. My hope for the movie is that it serves as a doorway through which HSPs and non-HSPs may enter and learn more about the inherent strengths and challenges of the trait with an eye toward greater inclusiveness and acceptance for those who are slightly different, but still necessary to the health and well-being of the human race. In the end we HSPs are part of a reciprocal relationship wherein we serve the function of thinking and planning very deeply, creatively solve problems, heighten aesthetic awareness and appreciation, and soften a harsh world. We all need each other. We also learned last night that the second movie will primarily address HSPs in childhood. This will be a critically important new movie for all HSPs to view and study.